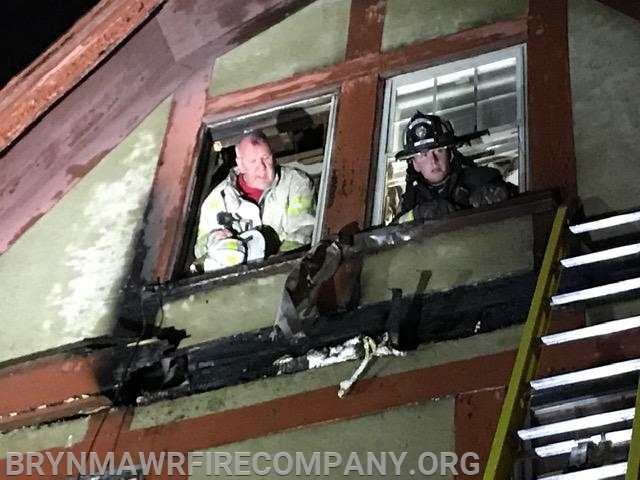 At approximately 17:15 Bryn Mawr Fire Company was dispatched to 16 School Lane in the Ardmore section of Lower Merion Township to assist Station 25 with a building fire. Initial reports of smoke coming from the third floor were later upgraded to fire showing from the third floor. An aggressive attack kept the fire to the already affected space in the home. Members from BMFC assisted with overhaul and cleanup. All units were available around 18:30.